Packaging Volume: 500ML versions: peach, fennel with mint, chamomile with honey, grape lavender, orange blossom and strawberry meringue. 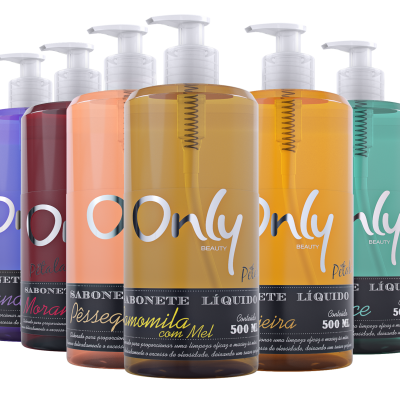 Liquid soap with moisturizer natural perfumes. Practice dosing valve, elegant and decorative packaging. It is found in versions: peach, fennel with mint, chamomile with honey, grape lavender, orange blossom and strawberry meringue. Copyright © 2014-2018 | Start Química. All rights reserved..